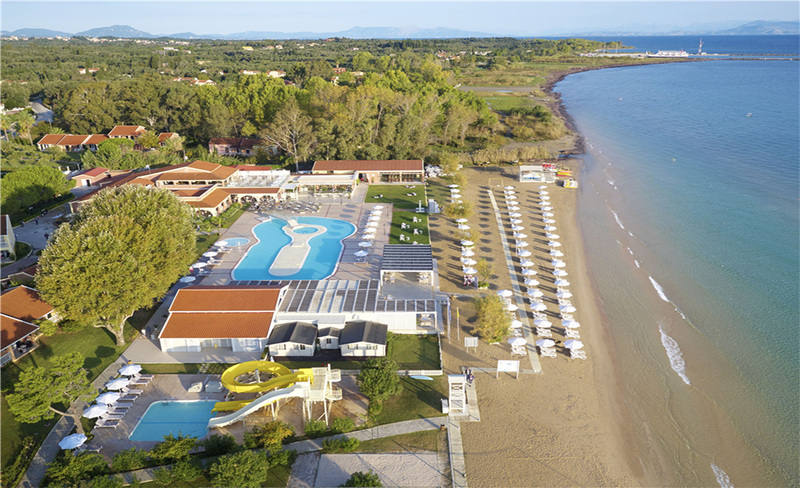 Nestled amidst landscape gardens,Aquis Capo di Corfu is located in Agios Petros, 2 km away from Lefkimi, in the southern part of the island, on a large stretch of sandy beach. The complex is famous for its social atmosphere and is ideal for families and couples alike. Property standards are set by Aquis Hotels and Resorts to the highest level of its category and along with the great location, guests will experience a unique and unforgettable stay. 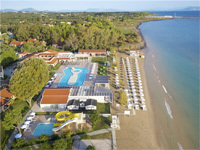 Aquis Capo di Corfu has been extensively renovated according to the Aquis standards during winter of 2010. 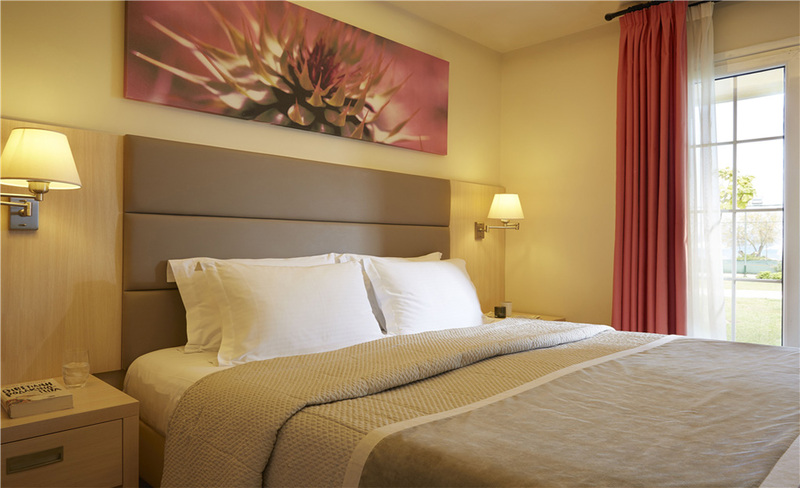 All rooms are well appointed in a modern manner featuring: individually controlled air conditioning unit, direct dial telephone, satellite TV, free Wi -Fi internet access throughout the hotel, mini fridge, and safe deposit box on charge. Each one has its own bathroom with shower, hairdryer and either balcony or terrace to enjoy magnificent views to beautiful gardens. 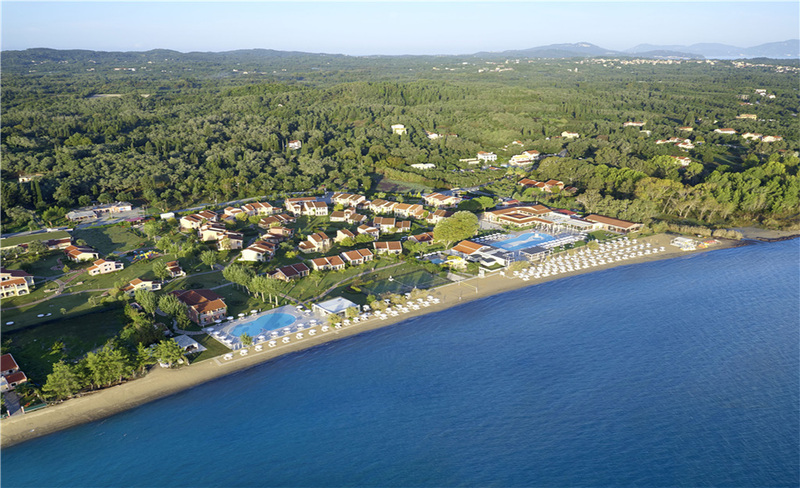 At the Aquis Capo Di Corfu, guests will enjoy a unique location and the most attractive facilities and services. 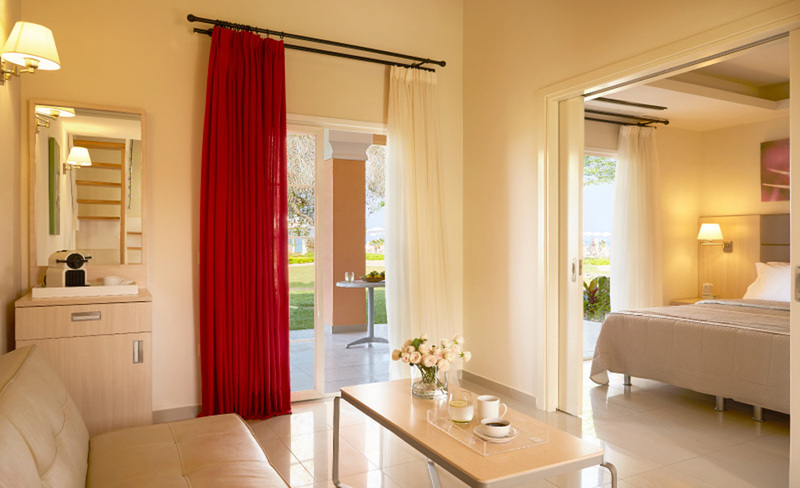 This property as being part of Aquis Hotels and Resorts is aiming to exceed guests' expectations by providing superior quality of services and facilities within an advanced concept of beach holidays along with its unique location.